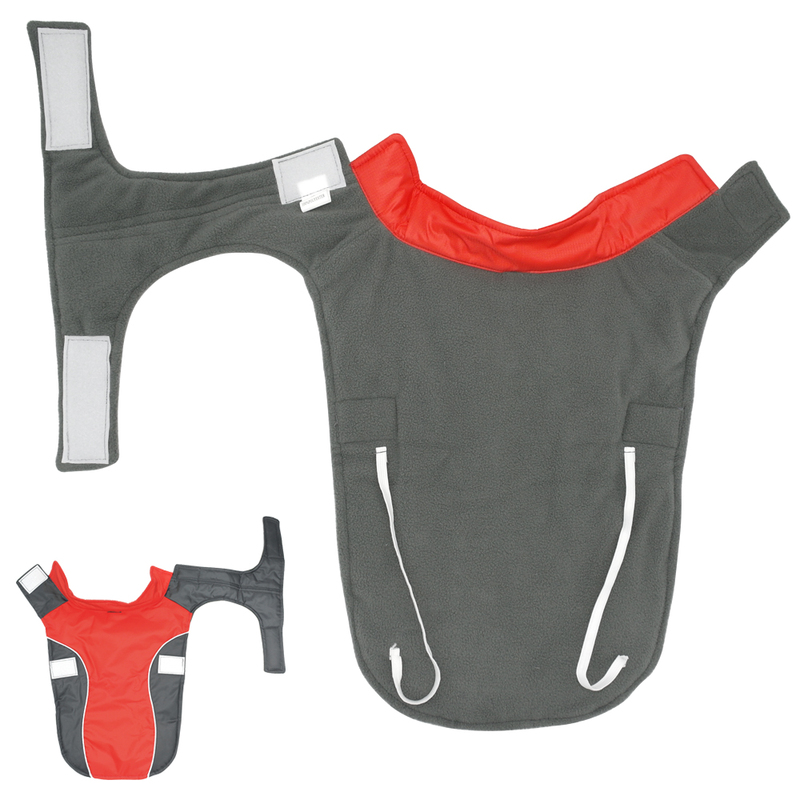 Keep your pup warm, dry and safe from the elements with the fashionably functional Waterproof Colorblock Dog Vest. 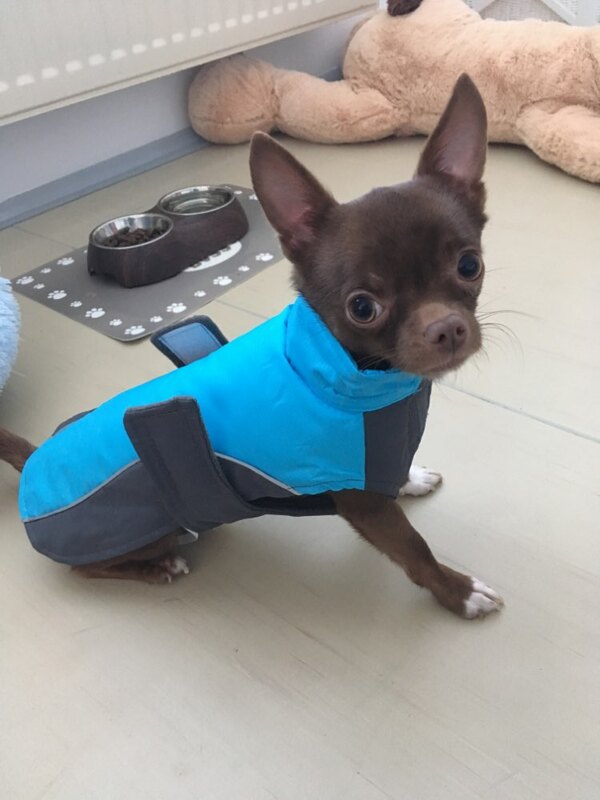 With a durable, waterproof outer shell and a cushy, poly-filled inner fleece lining, this vest is as comfortable as it is stylish, and the reflective accents and eye-catching pink and blue colors will also help to keep your furry friend safely visible. 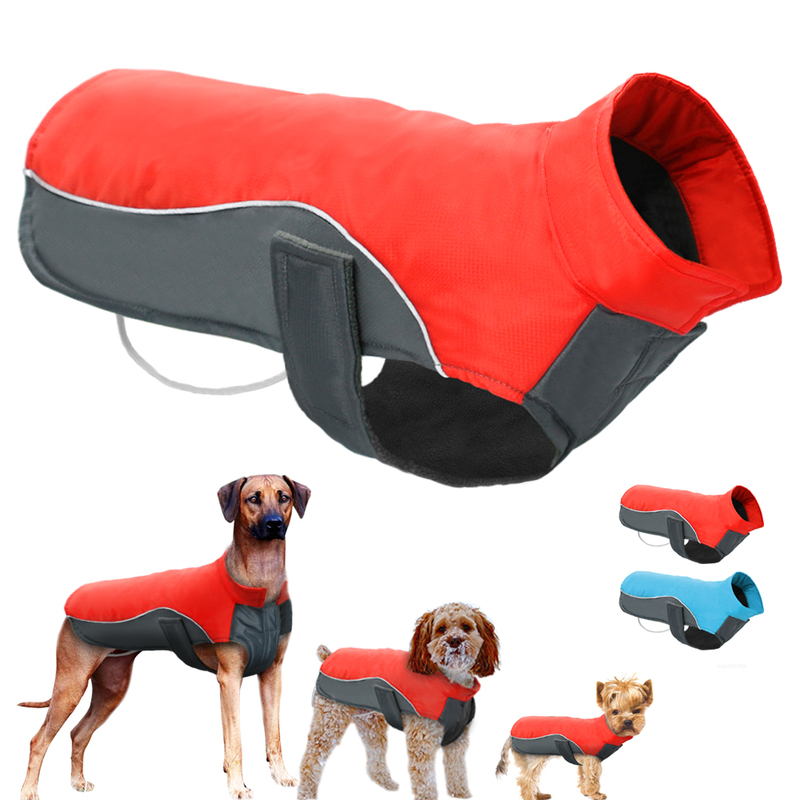 Its easy-on design comes complete with a Velcro fastener at the chest, a discrete leash attachment opening on the back, and adorably puffy padding at the shoulders, making for the ultimate in canine wardrobe comfort and convenience. 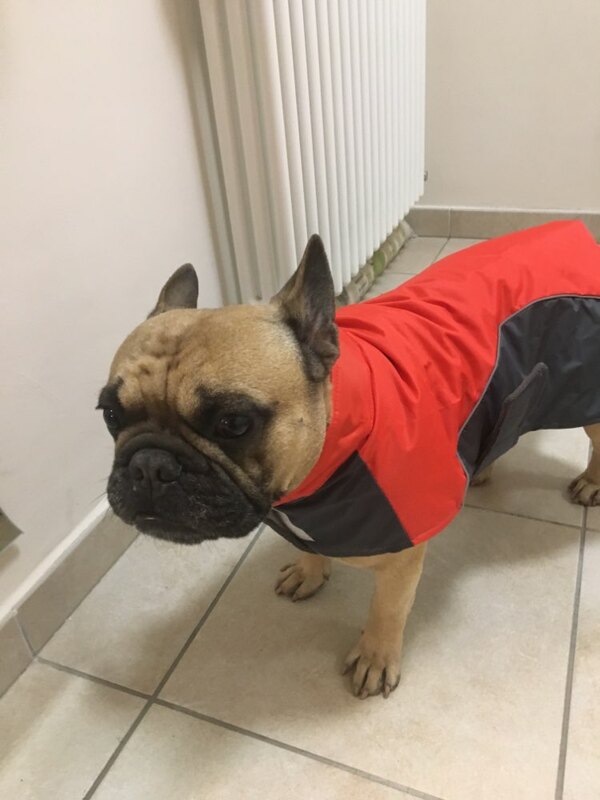 And its soft yet sturdy material is completely machine-washable and dryable, for quick and easy cleanings between outings with your fur baby. Warm and easy to clean. 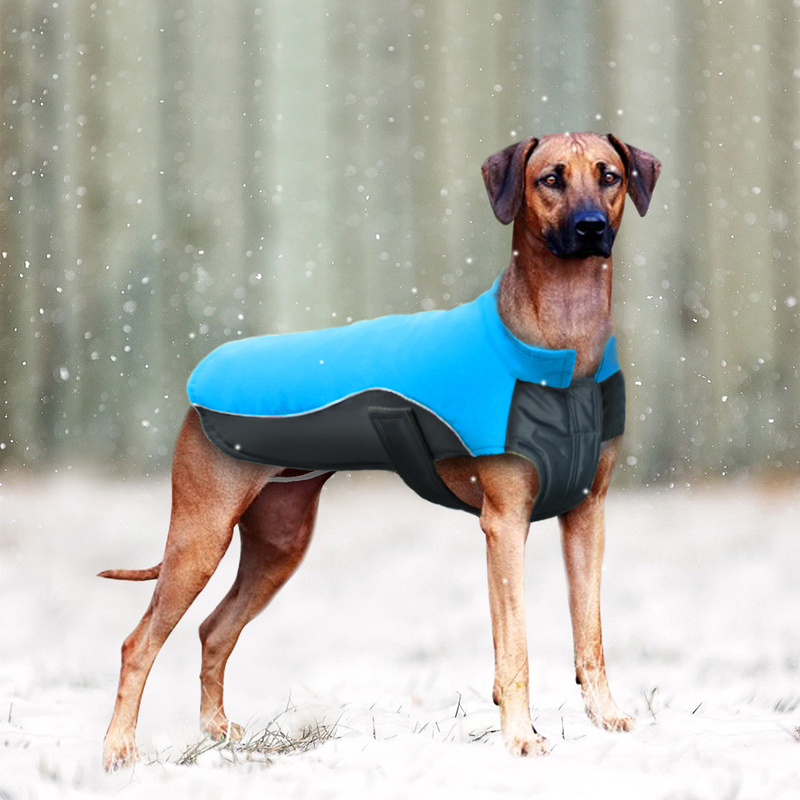 Super-soft fleece, poly-filled lining and water-repellent exterior keep pups warm, dry and protected from the elements. Cleanings are quick and easy, thanks to durable vest being completely safe to machine-wash and dry. Easy-on design. Velcro fasteners at the chest, plus a convenient leash attachment opening on the back make dressing a breeze. Keeps dogs safe. Vibrant and fashionable colors and reflective design keeps dogs stylish and visible during walks or playtime at local dog parks.